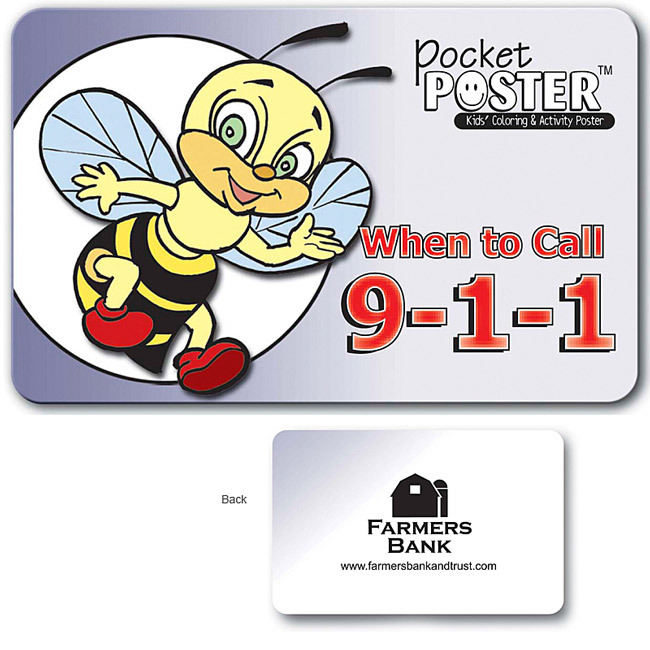 When to call 911 Pocket Poster Folds to credit card size.Teach the kids how and when to call 9-1-1, and have fun too! Color in a great poster on one side, and fun activities on the other. Poster opens to 9-3/16" x 13-1/2". Coloring on front side, fun activities on back. Product is CPSIA compliant. Bulk / 31 lbs / 1000 pcs.